There is really no such thing as a complete 1-A-Day formula—these formulas usually lack sufficient levels of key nutrients, such as vitamin C and E, B-Complex vitamins and other importnat minerals, such as calcium and magnesium. 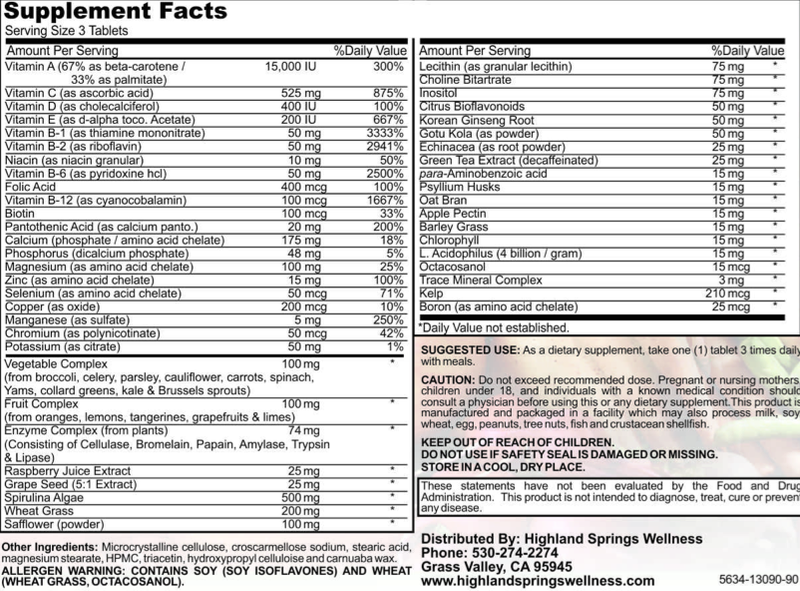 Highland Springs Wellness Center has selected one of the most complete 3-A-Day formulas on the market, providing a high potency blend of vitamins and minerals, along with a complete food based complex. 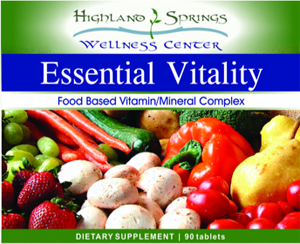 Highland Springs Wellness vitamins include powerful antioxidants, like green tea, grapeseed and red raspberry. Please check with your doctor and see if this product is appropriate for your health needs. These statements have not been evaluated by the Food and Drug Association. This product, or any product offered by Highland Springs Wellness Center, is not intended to diagnose, treat, cure or prevent any disease.